Michael talks to Ed Martin, Owner of Outer Limits Hot Sauce (https://www.outerlimitshotsauce.com/) which Beara Brewing Co. infuses into their Outer Limits DIPA. The result is Outer Limits Squared - nice IPA with some heat! 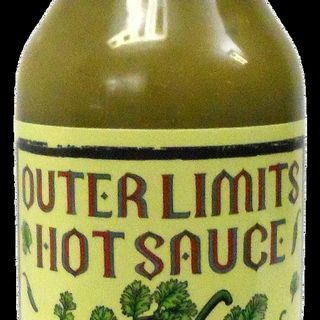 Outer Limits Hot Sauce was started by my father and I, two life long lovers of spicy food. Previously he owned Outer Limits Ski Shop in Middletown, NJ and I worked there with him for years. I eventually left the shop to work in the music ... See More business doing everything from PR to management working with bands like Slipknot, Stone Sour, Wolfmother, Opeth, Lamb of God and Dethklok to name a few. In the spring of 2012 the shop shut its doors for good and not long after I was in between jobs. We spent a lot of our new found free time cooking and expanding our spicy palates. We were regularly making hot sauces with the peppers we grew and everyone who tasted them kept asking for their own bottles and telling us we should be selling them. With all the great feedback we'd been getting and loads of encouragement from friends and family we decided what better time to try and fulfill the dream of doing what we love for a living? With the help of a successfully funded Kickstarter campaign and over 150 amazing backers, we were able to really start pursuing our goals! We're focused on bringing you a delicious sauce using top quality, fresh, all natural ingredients that feature labels you can be proud to display on your table every day! We'll be working with lots of great established and up and coming artists to give each flavor its own unique label! Our sauces make a great complement to any meal, giving you a kick of heat and flavor without overwhelming whatever you're eating! Try a bottle now to taste for yourself!